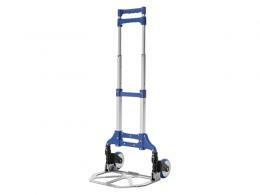 Transportation of goods across a wide area is made easy due to the usage of trucks, dollies and heavy duty trolleys. The use of wheeled transport in industrial and commercial situations has been something that has evolved over time. This current generation of trucks and warehouse trolleys represent improvements in many areas ranging from manoeuvrability to durability. 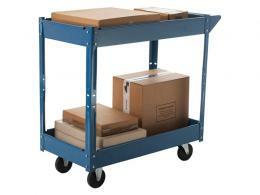 This category of delivery trolley products represents transportation solutions for both heavy and light goods and ranges across a number of different disciplines. Each member of this family of trolleys and trucks are designed to be used in different applications. 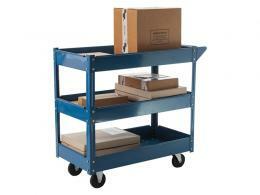 The usage of these warehouse trolleys and dollies varies depending on the type of industry they are built for. They are especially useful in storage and packing locations. 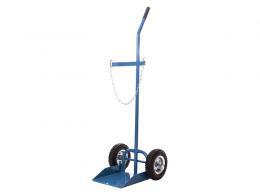 Sack trucks and pallet trucks provide simple, easy transport for users within a warehouse setting. The high durability construction of these large flatbed trolleys combined with their ability to bear lots of downward weight make them perfect as labour saving appliances in packing and storage facilities. Retail trolleys, office trolleys and order picking trolleys provide a simple solution to the problem of having a place to store objects temporarily. Whether it's in wholesale locations or large retail chains, these delivery trolleys allow for easy mobility for whatever goods need to be transported. Stackers and scissor lifts provide support for tasks that require some level of stable support off ground level. Dump trucks provide a safe way to dispose of garbage while providing a durable short term storage and handling container to make it easier to transport solid waste between discard point and disposal. In the hotel industry, hospitality trolleys are a common sight, allowing servers to easily carry a large amount of necessary items to and from certain locations. 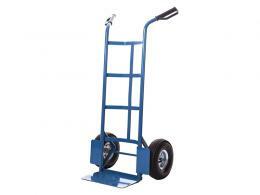 Tyre racking trolleys serve as a good method of stacking tires for sale in easily categorizable sections. This is especially useful in garages or tyre sales and service centres to allow staff to easily tell, at a glance what type of tyres they are looking at. The Workplace Depot uses the highest quality materials in the construction of its sack trucks and heavy duty trolleys, making them able to withstand years of hard use. For more information, get in touch with our free hotline at (0800 0126777) or visit the online store to take a look at our available warehouse trolley products.